Has your music library ever extended to the back seat or floor mat of your car? Find organizing strategies to help balance your life and your church music ministry work. 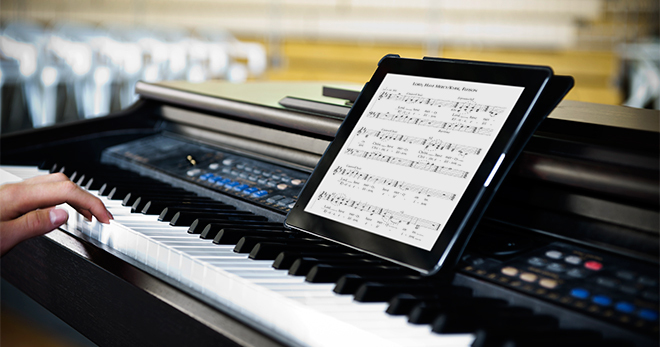 Go digital with this online subscription that offers all the songs in your Breaking Bread missal PLUS the resources to bring them to life. Say goodbye to those bulky binders! Download the tools you’ll need for a successful presentation to your parish leaders — fact sheet, slide deck and downloadable demo video for the Breaking Bread Digital Music Library. Chris Brunelle is a lifelong music minister. He entered music ministry as a fourth-grader and was directing a church choir by the time he reached high school. He has worked as a full-time music director at the same busy urban parish for 20 years, but also serves at a number of other churches in the Archdiocese of Portland in Oregon.